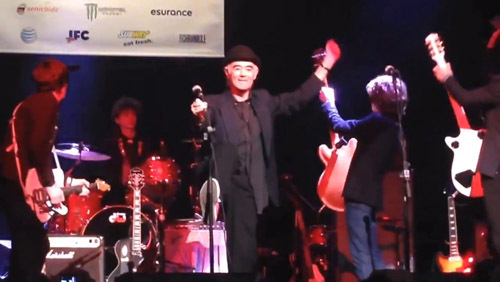 When BP Fallon & The Strypes played the Lou Reed song ‘Vicious’ at the SXSW Lou Reed Tribute Concert in Austin, they received the first standing ovation of the evening. Debbie Harry was in the audience and loved it. 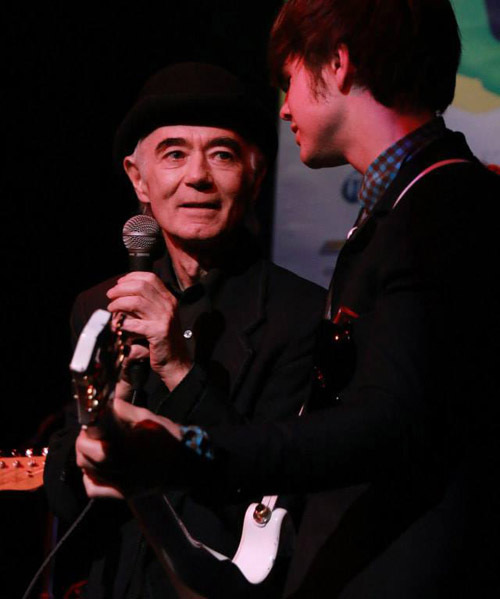 “BP Fallon was fabulous with The Strypes, just fabulous. And his choreography – the leg in the air, I’m going to steal that! And The Strypes, those fresh young Irish boys, they’re so tight! I loved it”. 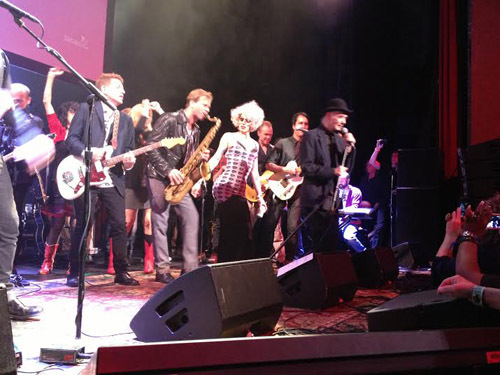 Joining BP and The Strypes on stage during the song was Debbie Harry’s bandmate Clem Burke, drummer in Blondie and BP Fallon & The Bandits. 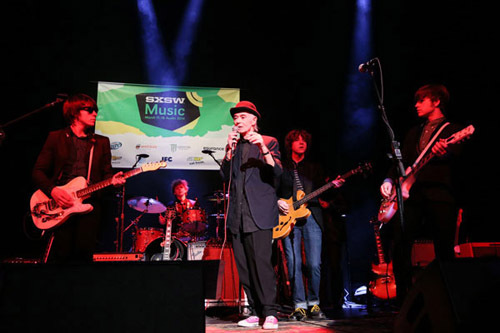 An insanely great tribute to Lou Reed’s song ‘Vicious’ recorded at the SXSW 2014 Official Tribute To Lou Reed – with Clem Burke from Blondie/BP Fallon & The Bandits joining in on cowbell. 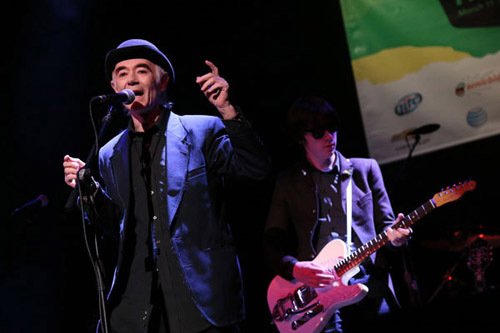 My favorite cover, though, came early, and it featured the Irish DJ, singer and photographer BP Fallon backed by young Irish rockers The Strypes. Performing Reed’s mean-streets rocker ‘Vicious’, the singer couldn’t hit many of the notes but neither could Reed, which made it a plus. 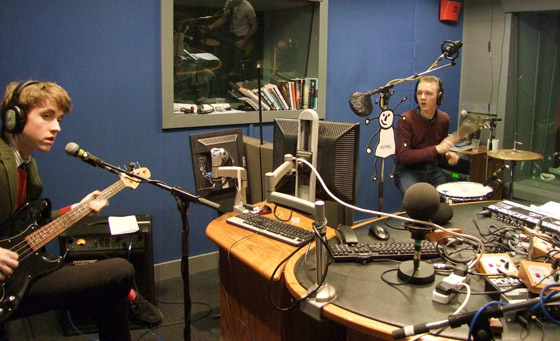 Coupled with The Strypes who traffic in solid, no frills hard rock, Fallon and band’s version had a super-potent rawness – landing in a zone that Reed helped define. 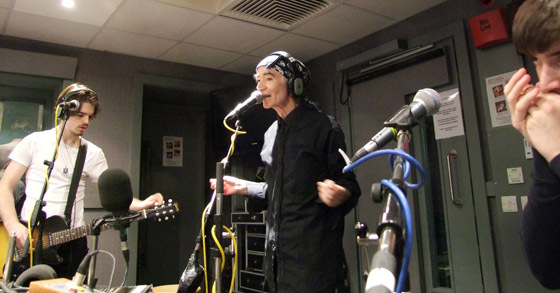 The night also had its moments of weird – veteran scenester BP Fallon joining The Strypes for ‘Vicious’ and drag queen Sharon Needles crooning ‘Candy Says’. The Strypes operate according to their own calendar, maps and hunger, jumping oceans and decades for their lessons and inspiration. 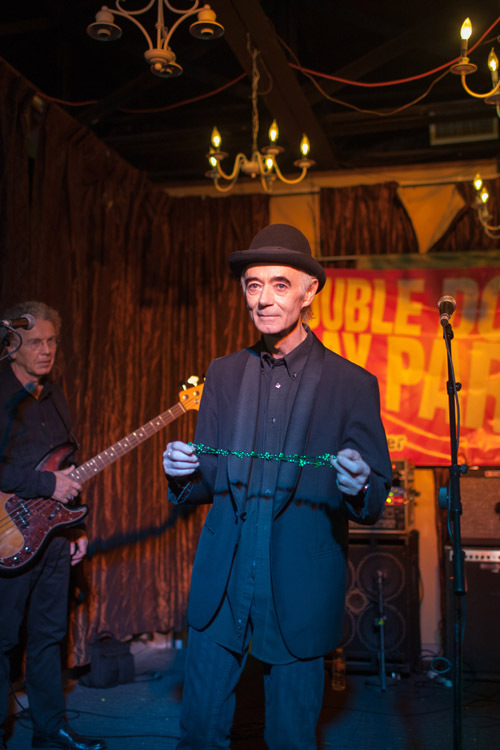 (Extra credit: their surprise appearance at SXSW, with Irish PR legend and DJ BP Fallon, covering ‘Vicious’ at the Lou Reed tribute). 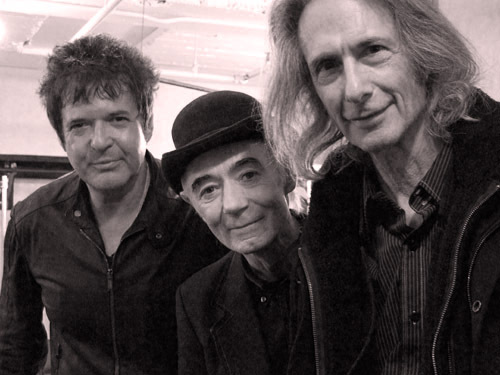 The house band who backed many of the acts was incredible and its core members will be familiar to fans of BP Fallon & The Bandits – none other than Blondie/Bandits drummer Clem Burke, guitarist Lenny Kaye from The Patti Smith Group who’s been a Bandit at gigs in New York, Austin and Ireland’s Electric Picnic Festival plus Tony Shanahan from The Patti Smith Group on bass with Ivan Julian from Richard Hell & The Voidoids on guitar, Matt Fish on cello and Susan Voelz on violin. Oh Sweet Nothing – Bobby Bare Jr. Writes the singer with The Black Shades, Aaron Lee Clark: “I had the pleasure of seeing a performance from BP Fallon & The Bandits – Hector Munoz (Alejandro Escovedo), Nigel Harrison (Blondie), Scott Asheton (The Stooges) and Aaron Lee Tasjan (Himself). It was the best performance I have seen all year. BP captivates an audience like no one I have ever seen. This guy is the real deal and gives me even more reason to have my ears to pass through movement of the band and latch onto lyrics”.